Dr. Kaushik Sridhar is the Head of Sustainability for Regis Healthcare, Advisory Board Member at Lord Mayor Charitable Foundation, and Adjunct Lecturer at the University of Melbourne and RMIT. He has spent the last ten years working across various industries in business development, environmental management, sustainability research, sustainability reporting, sustainability assurance and sustainability advisory roles. Prior to joining Regis, Kaushik has worked at KPMG, EY, Macquarie University and Unisys Australia where he managed projects in areas including sustainability assurance, sustainability strategy and reporting, data management, sustainability research and stakeholder engagement. 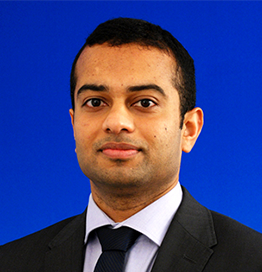 Kaushik is a PhD and MBA graduate from the Macquarie Graduate School of Management. He has published over 30 academic and professional papers/articles on sustainability in international peer-reviewed journals as well as presented academic papers at international management conferences in Auckland, Bangkok, Melbourne, Paris and Sydney.